Repair of transducers is one of solutions when a transducer fails. 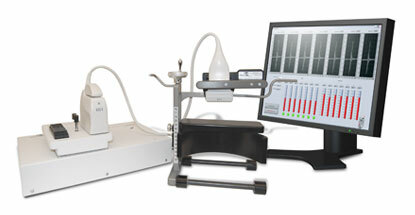 Ultrasonic transducer is an extremely complex high-technology device. Its repair requires not only high qualification, availability of necessary spare parts, but also expensive diagnostic equipment. Unfortunately, unqualified repair leads to disastrous results. If you are considering a question of repairing a transducer, let's first define the terminology to make it easier to understand each other. 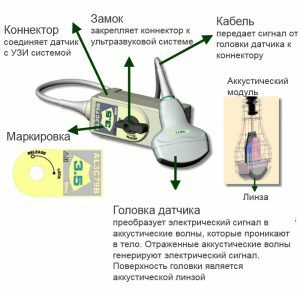 So, first let's look at what actually a transducer consists of and what we put into the definition "Acoustic lens", "Acoustic module", "Scanning head", "Cable" and "Connector". 1. Acoustic lens is a part of an ultrasonic transducer in direct contact with a human body during medical investigations; usually gray, blue, orange or black. It is usually made of a special plastic, rubber-like in texture. It serves for creation of geometry of the ultrasound beam. 2. 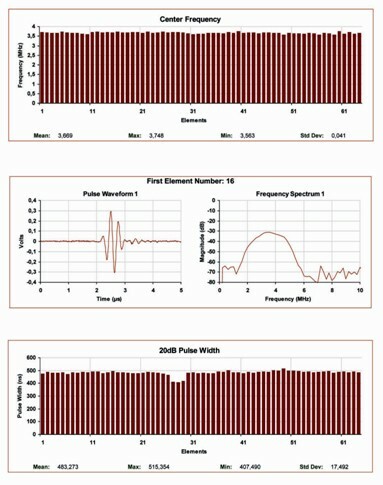 Acoustic module is the most important component of an ultrasonic transducer, comprising emitting and receiving element (piezoelectric crystal), which is closed by an acoustic lens. 3. 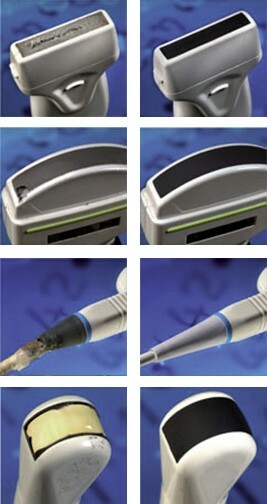 Scanning head (a head of a transducer) is one of the three main parts of a transducer (remaining two are a cable and a connector). A Scanning head has a plastic housing and a built-in acoustic module and sometimes built into it the circuit board with electronic components. 4. Cable is a flexible connecting element between a Scanning Head and a Connector consisting of a numerous number of micro-coaxial conductors (not exceeding 280). 5. Connector is a metal or plastic adapter with multiple contacts for connection of the transducer directly to the scanner. Sometimes a Connector has a built-in printed circuit board with electronic components. We carry out repair of ultrasonic transducers on the sites of foreign partner companies that carry out repair for the past several decades. Repair can’t be complete and can’t guarantee 100% quality of the transducer if post-repair diagnostics is not already been run that can be performed only with special equipment. 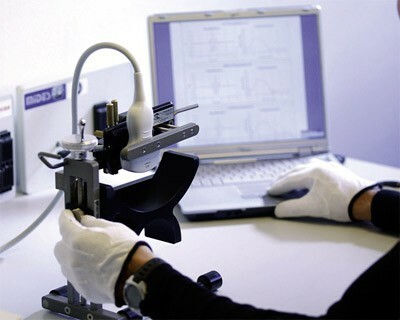 Careful inspection of acoustic and electrical parameters of a transducer is necessary. All jobs warranty.